Thomas Robert Knorr, age 69 and born on October 15, 1948 passed away peacefully on Monday, July 16, 2018, at AGrace Hospice Center in Janesville. 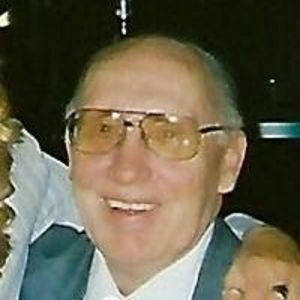 Tom was a lifelong resident of Sun Prairie and known to many as an avid sports fan and card player. Tom enjoyed coaching from the sidelines at the Home Talent games. He also played cards regularly at area establishments in Sun Prairie, Bristol and DeForest. Before his disability worsened he loved golfing weekly. Tom had a sharp mind for family history and loved telling stories and sharing family memories. Tom was preceded in death by his parents Robert & Lorraine Knorr and a close friend Ramona. He is survived by a sister Kay (Larry) Calkins, two brothers, Chuck (Pat) Knorr and Scott (Shelly) Knorr, many nieces and nephews, an aunt El Marie Dorshorst, cousins, several card playing friends, and his special dog Gracie. The family would like to thank the numerous doctors and nurses who have treated Tom over the past couple years and the staff at the Janesville AGrace facility who made him comfortable these past couple weeks. A Funeral Service will be held at 2:00 p.m. on Thursday, July 19, 2018 at Tuschen-Newcomer Funeral Home, 302 Columbus Street in Sun Prairie. Burial at Memory Gardens will follow. A visitation will be held from 1:00 p.m until the time of service at the Funeral home of Thursday. A celebration of Thomas's life will take place at the Sun Prairie V.F.W. after the burial. May God bless you and your family in this time of sorrow. Rest In Peace Nubs. I am sorry for your loss of your brother.